This popular & successful fundraiser is back again for the 3rd year! Each ticket sale directly helps the Senior Center and seniors in the community. Featuring great food, entertainment and lots of fun, all sponsored by our fabulous Professional Friends. Mark your calendars for THE Christmas party of the season for seniors! 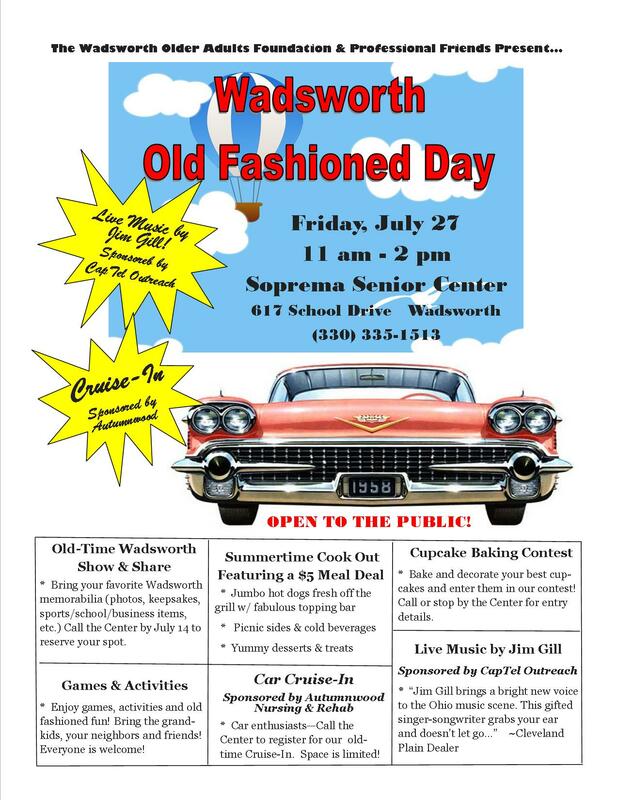 The party will be hosted next door at Wadsworth High School and we expect about 200 senior guests! Join us for Christmas festivities, tasty treats, and door prizes! Caregiver VIP Station: We are offering our family caregivers (mostly seniors) who attend the event a special VIP Room again this year from 9:00 to 10:00, before the big Expo begins.